I know y’all have been worried about me. I mean, there are likely several reasons you could worry about me. My fear of balloons is a a cause of concern for some. My ability to get sucked in to a book and polish it off in a single day could raise eyebrows. Or how about the fact that whether I’ve watched the movie or tune in to the last 5 minutes, I can still break out into a straight-up ugly cry at the end of Rudy? We haven’t even breached the subject of my bizarre talent of coming up with odd commercials, slogans or just ridiculous rhymes. Just ask my Biffer (whose latest blog post talks about the day she could have felt old) about the compilation I made for her as she went off to college. It was an epic combination of our favorite hits from the 80’s and 90’s, along with some of my super special commercials and jingles – and it was on a mixed tape. Let that one marinate for a while. Do cars even come with tape decks anymore? 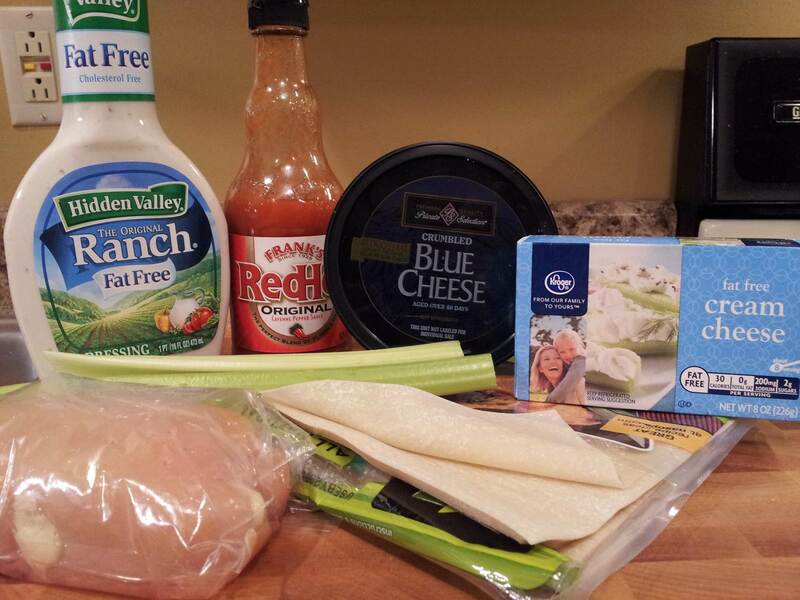 All of that aside, I know you’ve been worried because it’s been almost two months since I’ve posted a buffalo chicken flavored recipe. Today, we’re rectifying that issue. 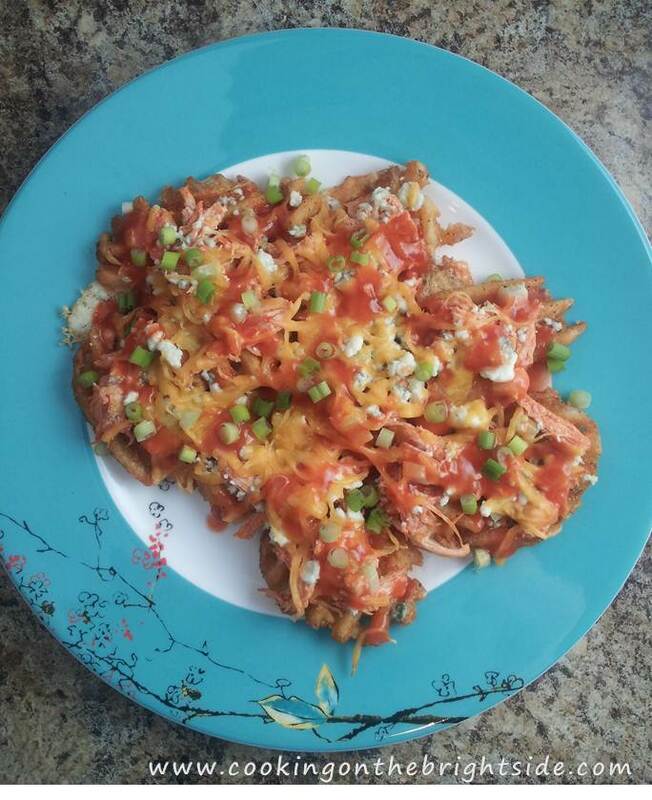 I made this recipe a few weeks ago as a bit of an experiment, and the husband and I went crazy for it! 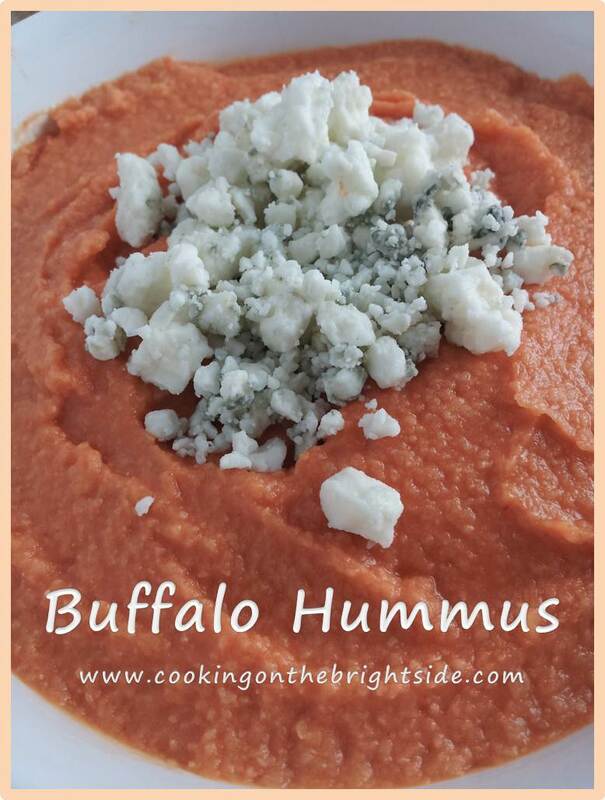 We both love hummus, and obviously you know about the buffalo obsession – so this was the perfect combination. 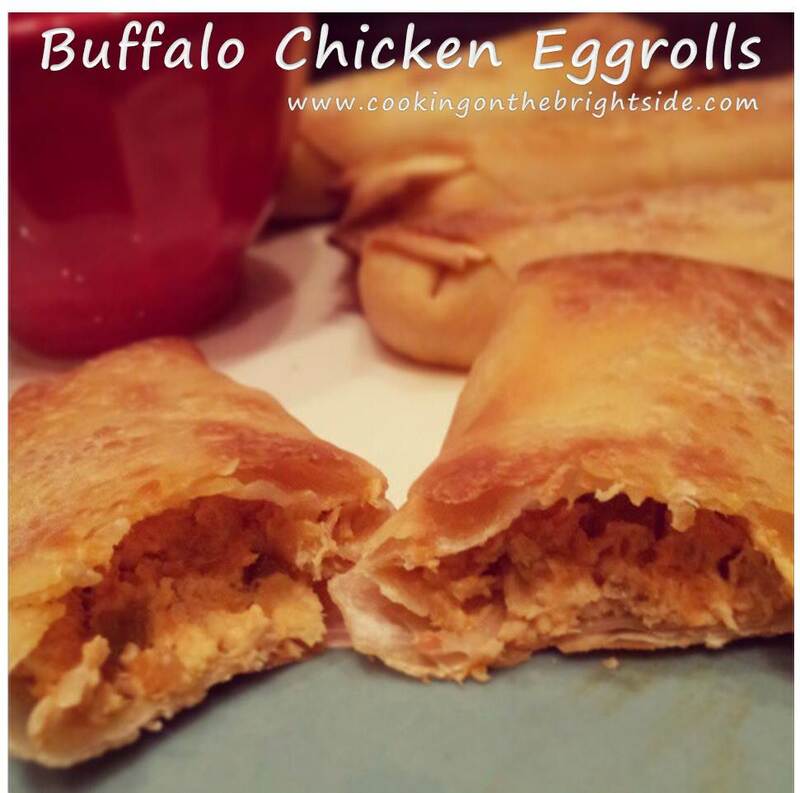 It makes a ton so it was perfect for us to snack on throughout the week – give it a try and let me know what you think! I made hummus once before in college and for some reason forgot how easy it is. 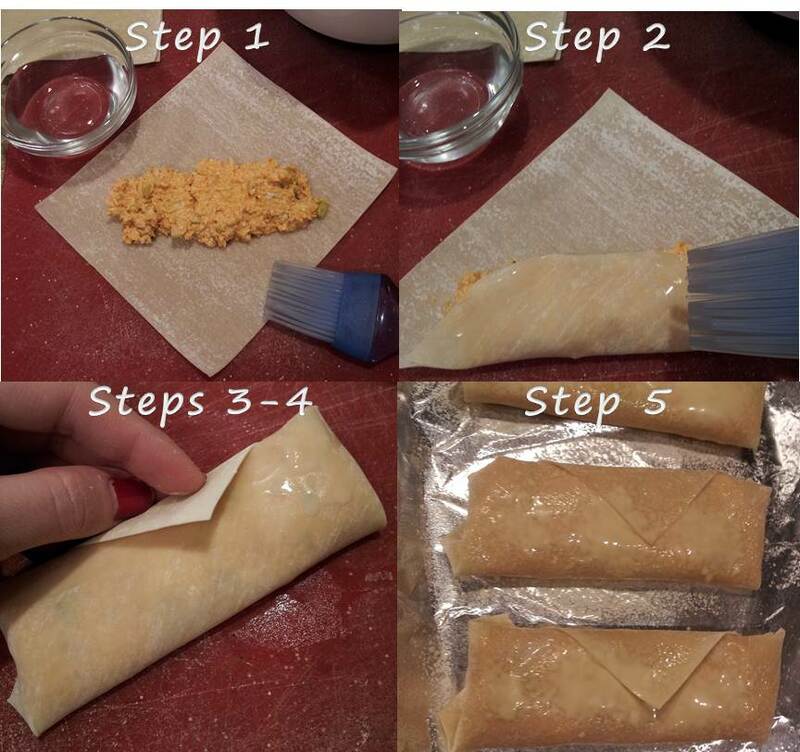 It makes good amount, doesn’t require much prep work and only leaves one dish to be cleaned. How awesome is that? 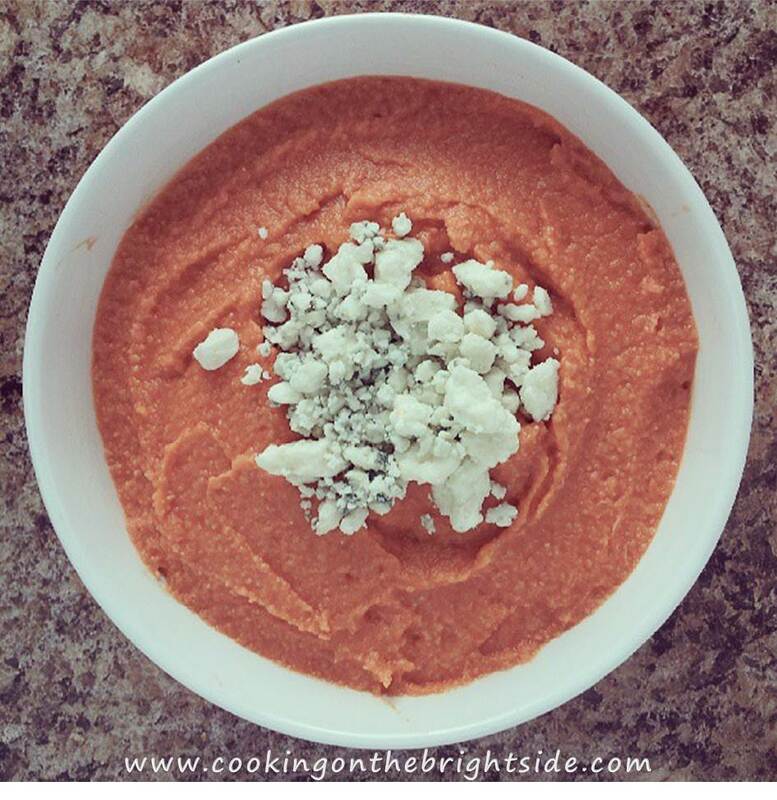 To begin, drain the chickpeas, reserving 1 or 2 tablespoons of the liquid. 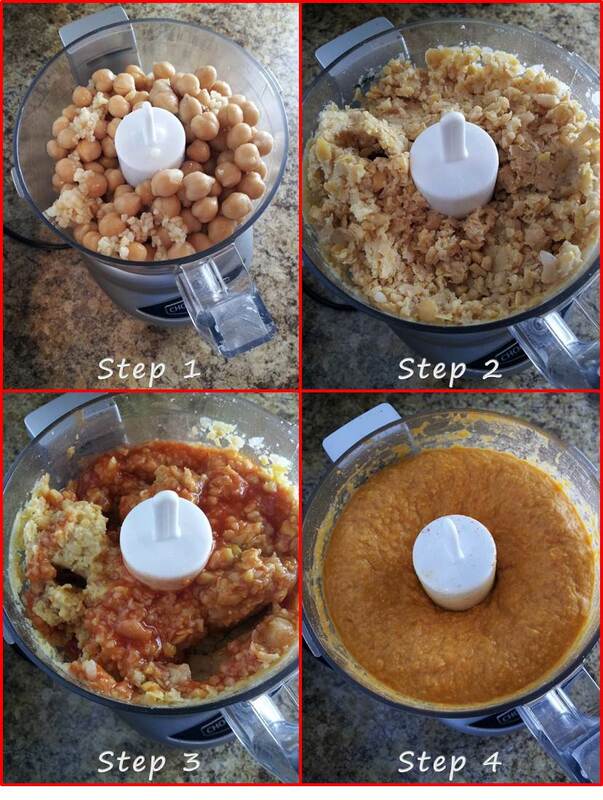 In a food processor (I use my precious mini one) add chickpeas and garlic. Pulse a few times to break everything up a little. Next, add your oils, 1 Tbsp. chickpea liquid, hot sauce, lemon juice, paprika and garlic salt. Then chop on full speed, making sure everything is blending together. I rotated “chop” and “grind” a few times to switch up the direction of the blade to ensure the chickpeas were smoothing out a little. 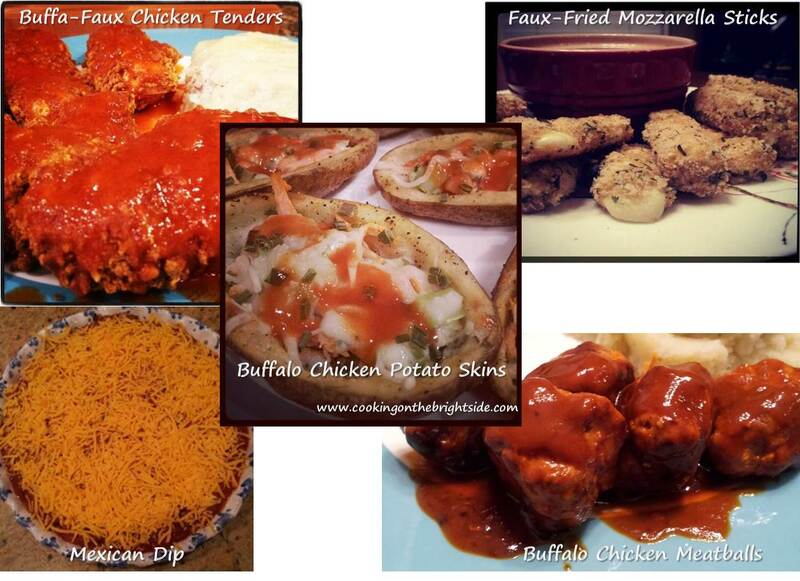 Adjust seasoning to your taste buds. 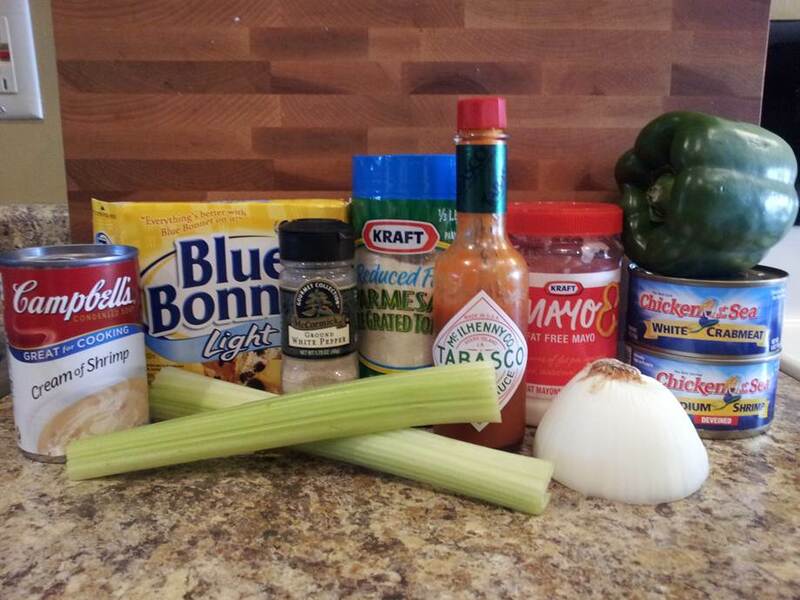 I played around with the paprika and garlic salt, and probably added another tablespoon of hot sauce to make sure we got the heat – so use the recipe above as a starting point and adjust. 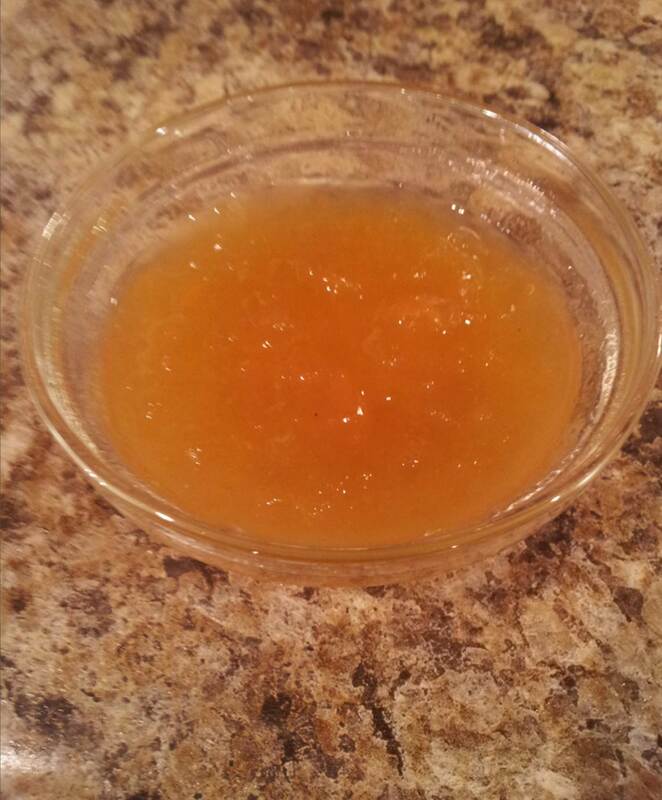 If it’s too thick, add a little more liquid/oil/hot sauce. Scoop into a serving dish leaving a shallow well in center. 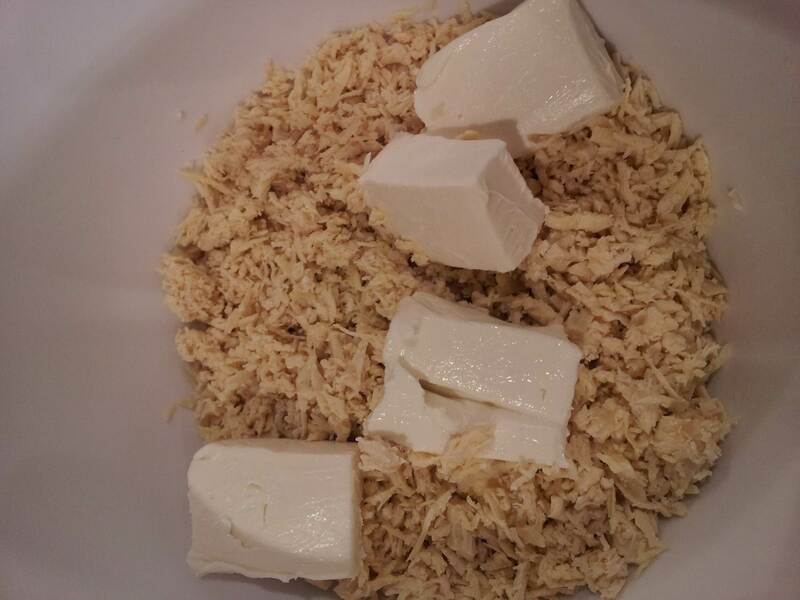 Add blue cheese crumbles. 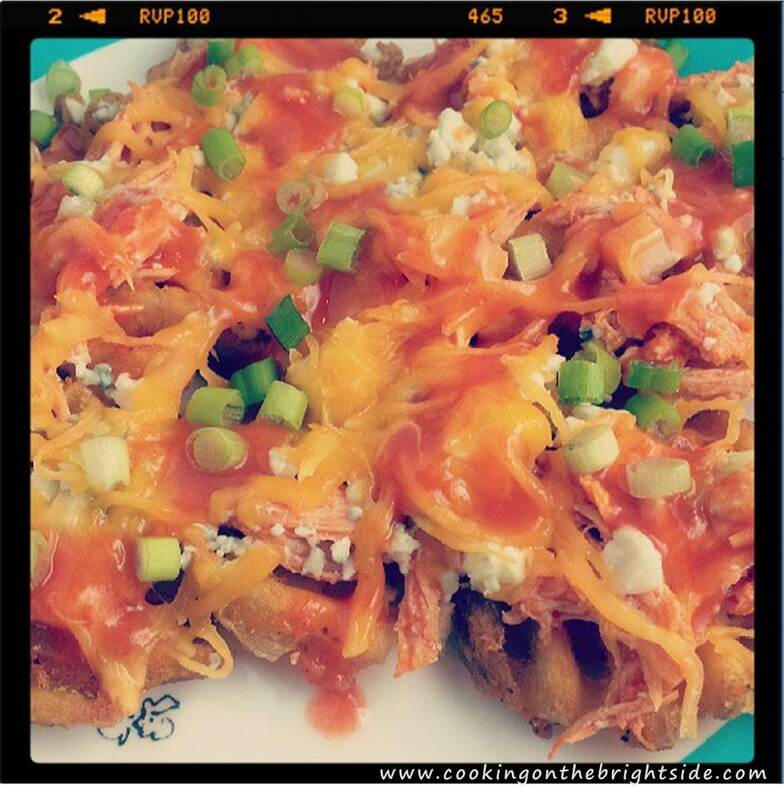 Refrigerate at least 30 minutes before serving with pita chips, pretzel crisps, veggies (I recommend celery), etc. 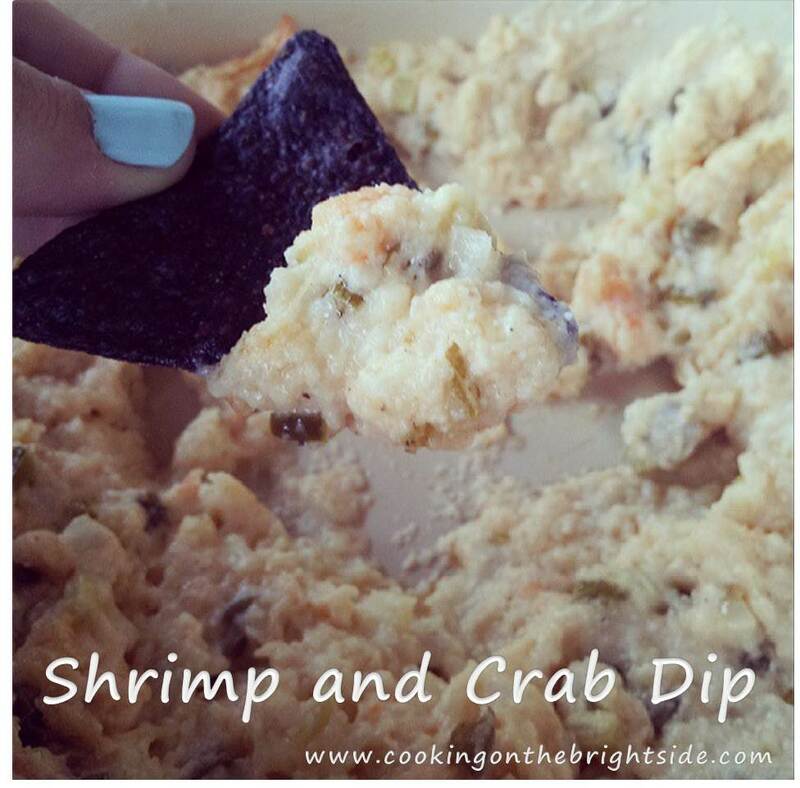 Try making some this weekend or at your next gathering and watch people who normally scoff at hummus devour it! Today is a very special post – because I am dedicating it to one of the most amazing women I know – my Biffer! Why today? Because it’s her birthday!!!! Last night she kept texting me her age – I’m hoping it was because it was the last day she could say the younger year opposed to having to remind herself. Hey, senility is a serious problem for the elderly! 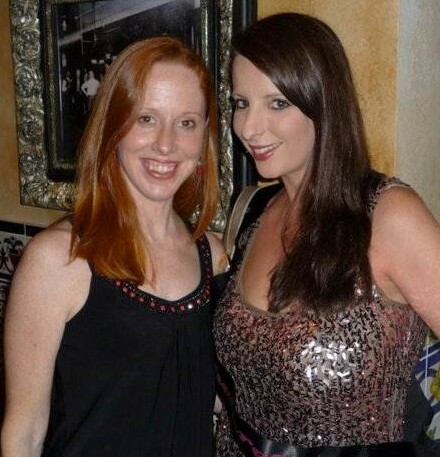 All kidding aside (for now), I truly value my relationship with my sister – I have always looked up to her. I still do today, and likely, I always will. Her relationship with the Lord is truly inspirational, and it shines through her in her daily life. Her marriage (to my rockin’ brother-in-law) of almost 13 years is a wonderful example for my husband and I. And she’s an amazing mother to my 4 adorably silly nephews. Yes, that’s 4 boys. And a husband. And a dog. And well, putting up with me sometimes. Let’s get this woman a cape already! Somebody as special as my Biffer deserves a treat, right? 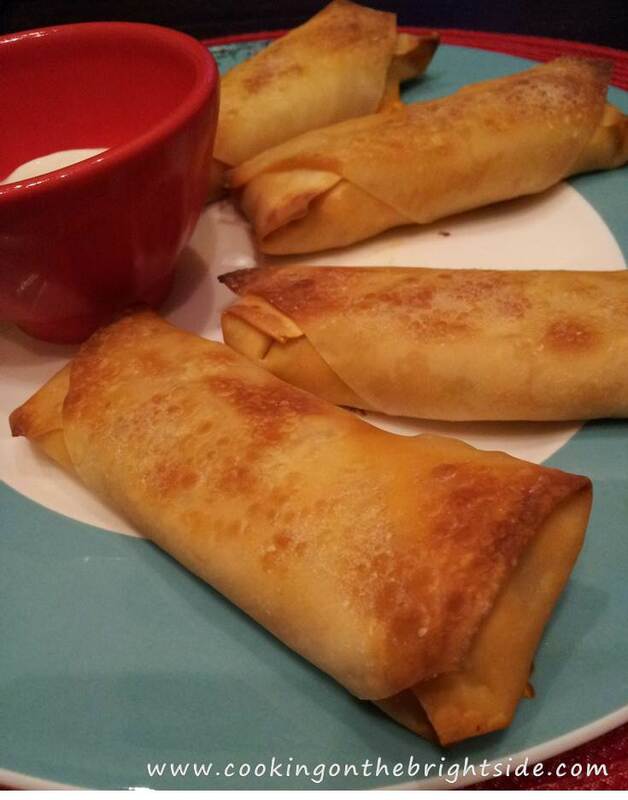 We love having Biffer nights out…and they usually involve some yummy food, beverages and a fun activity. I remember visiting her at IU – we had planned a Biffer craft night where we made lots of fun stuff and watched Moulin Rouge. But before such an intense evening, we needed some fuel. So we went to a local restaurant/bar simply because of an offering on their menu – fried dill pickles. 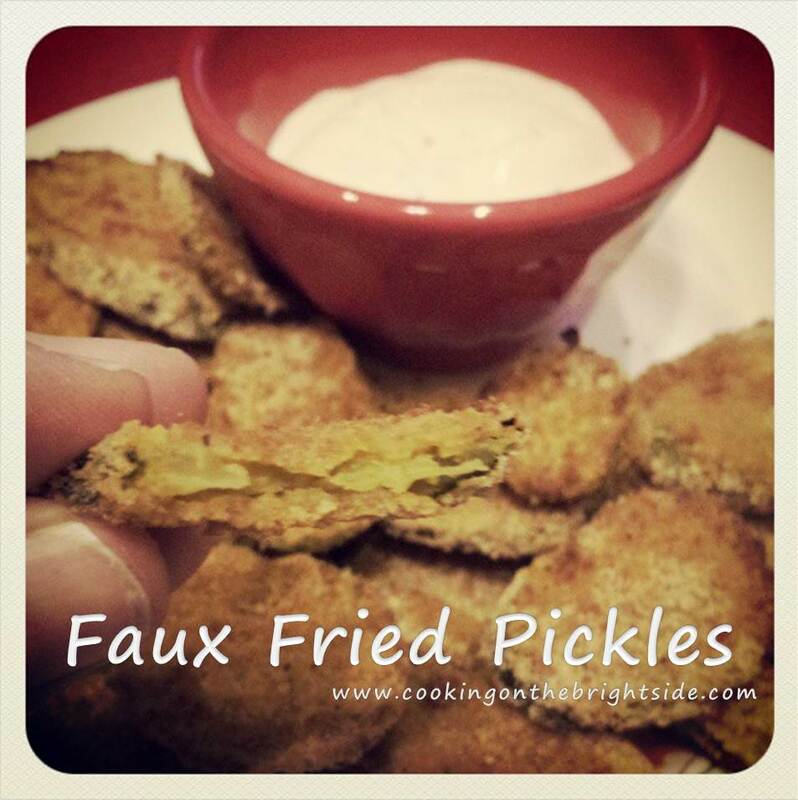 Now, some may turn up their nose at the sound of fried dill pickles. Especially if you are a semi-rational person freak and don’t like pickles. 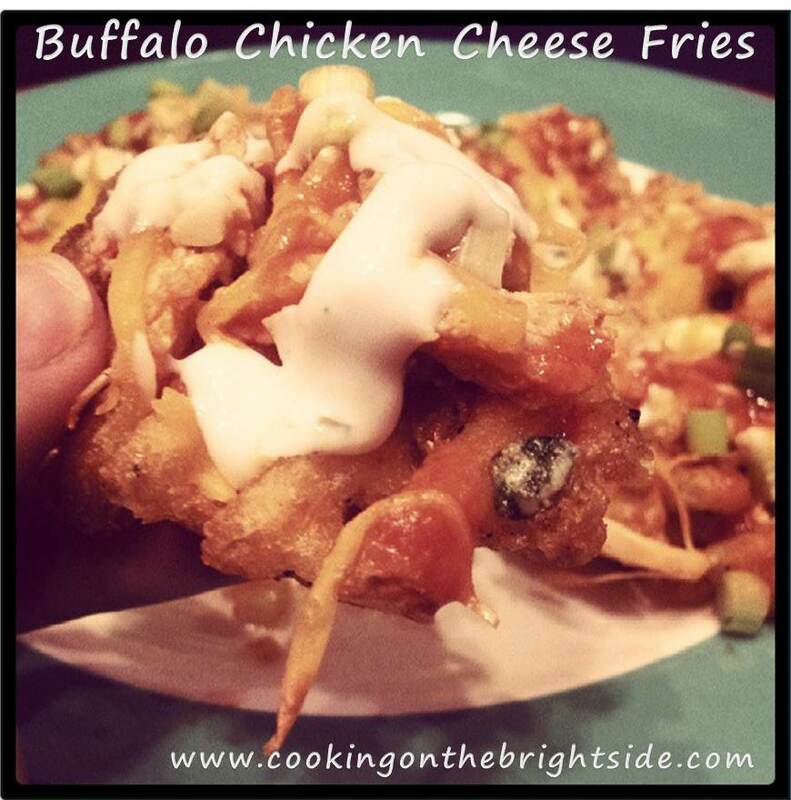 But they have been a favorite of ours since our childhood when we’d take road trips down to Gulfport, Mississippi to visit my grandparents and eat at the Catfish Shack (sounds pretty classy right?). 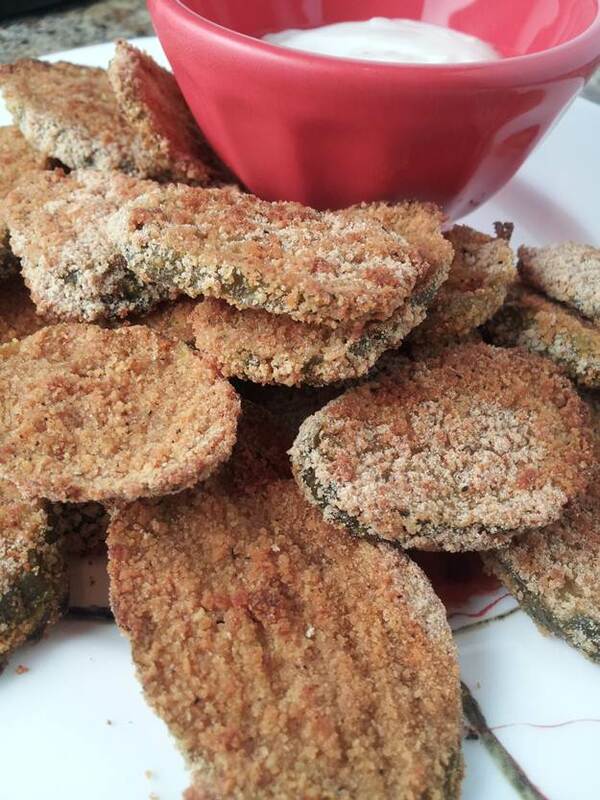 We actually consider ourselves connoisseurs of the fried pickle – like if a place offers the fried pickle spears, psh, no thank you! It must be the chips! Whether it was me picking up a to-go order of fried pickles for her during her first pregnancy, or us shoving down an order before going to see Top Gun (she loves Tommy C.) at the Orpheum, fried dill pickles will always make me think of my Biffer. 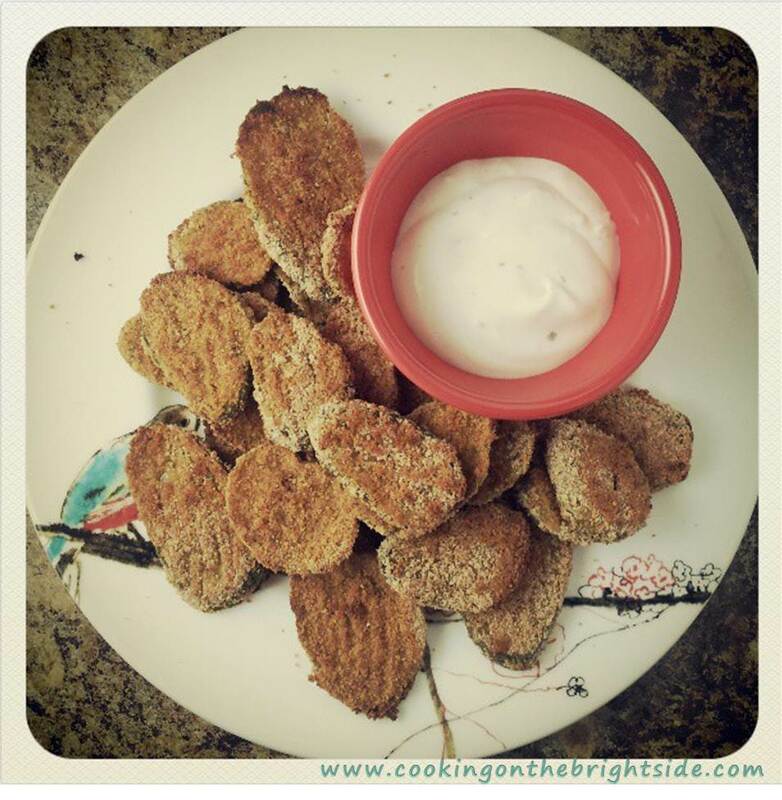 So today, in honor of my Biffer turning 30 + some, I am sharing a recipe for Faux Fried Pickles – a healthier way to enjoy our obsession! Heat oven to 450 degrees. Spray a medium baking sheet with non-stick spray. 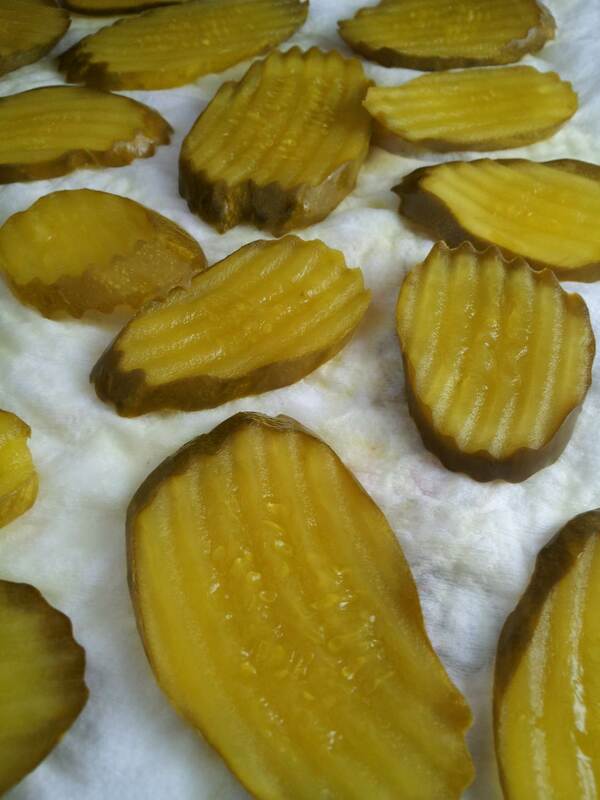 Lay your pickles on some paper towels and blot to dry. 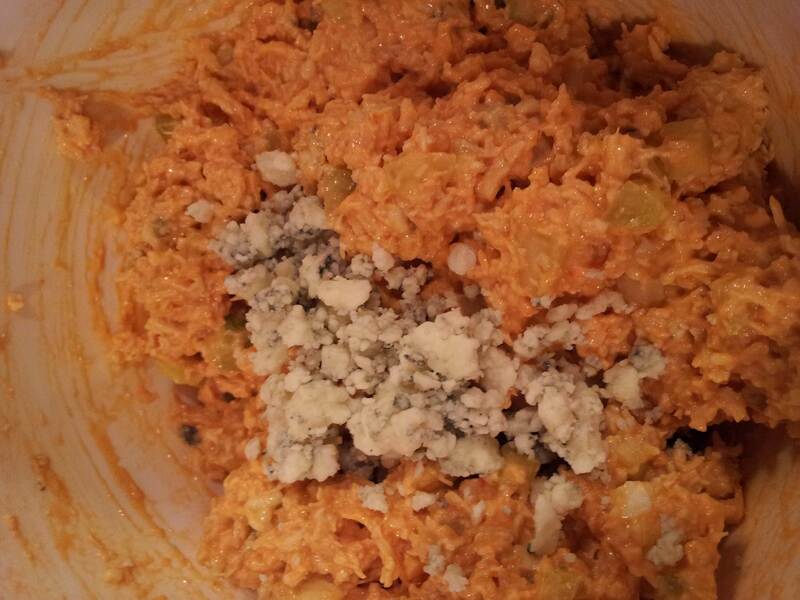 In a small bowl, whisk together egg, Worcestershire and Tabasco. 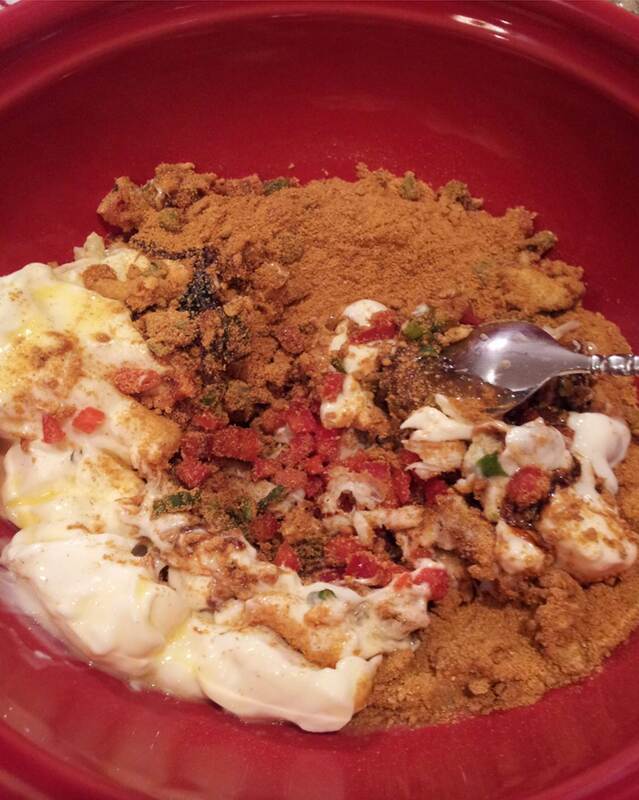 In a medium dish, mix together breadcrumbs, flour and seasonings. 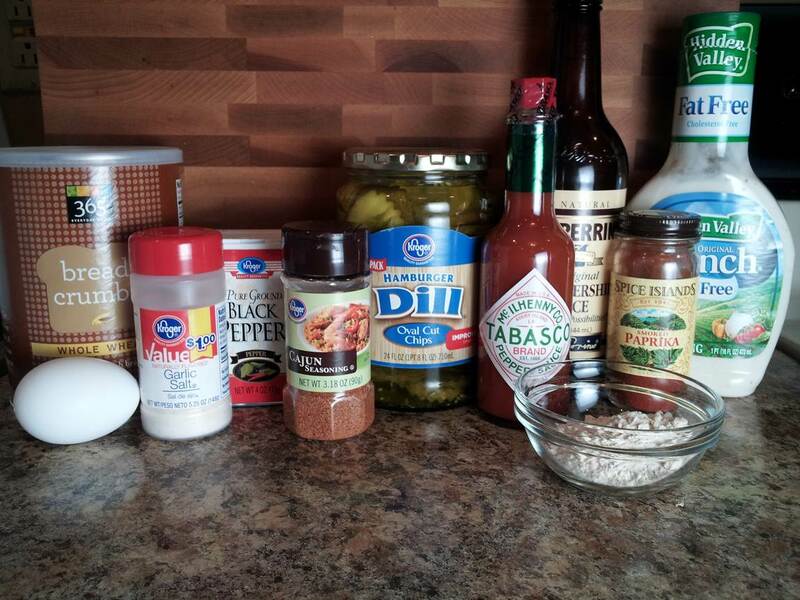 Working in batches, add pickles to the egg mixture to coat. 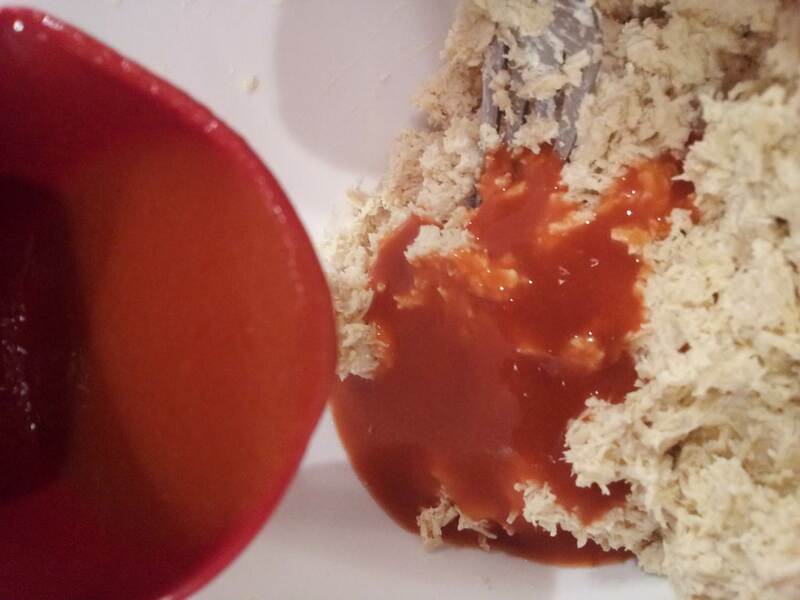 Let any excess drip off, and then add to the crumb mixture. 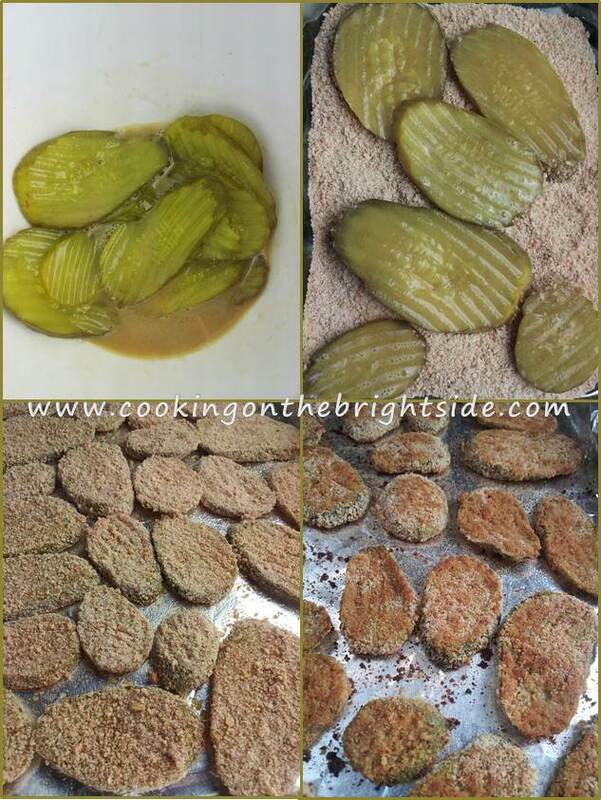 Press pickles into the mixture to ensure a good coating, then add to greased baking sheet. Repeat until all pickles are good and coated. 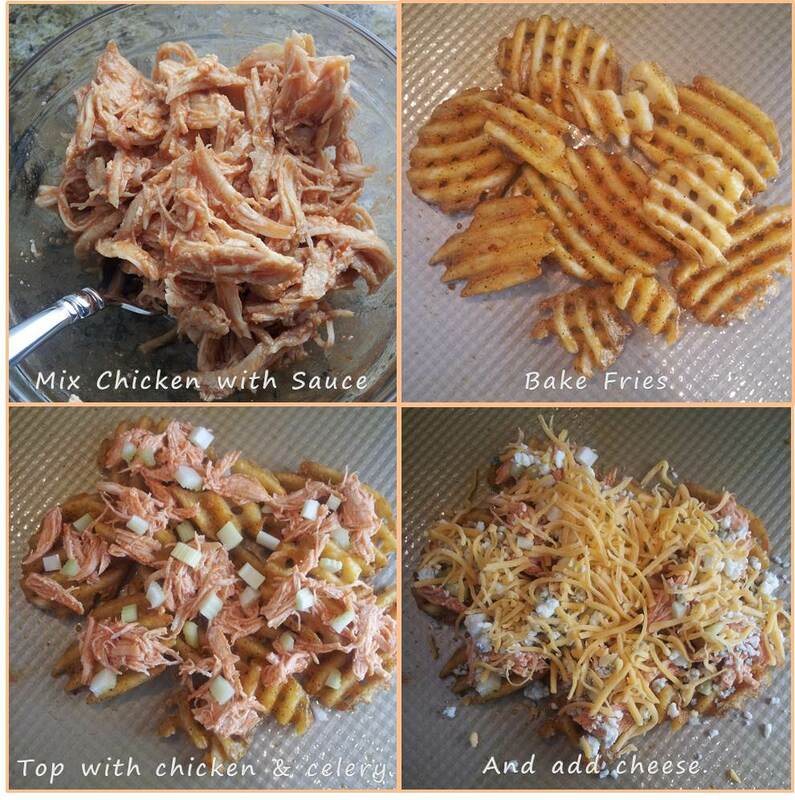 Bake 10-12 minutes, then flip and cook another 5-7 minutes until golden brown. 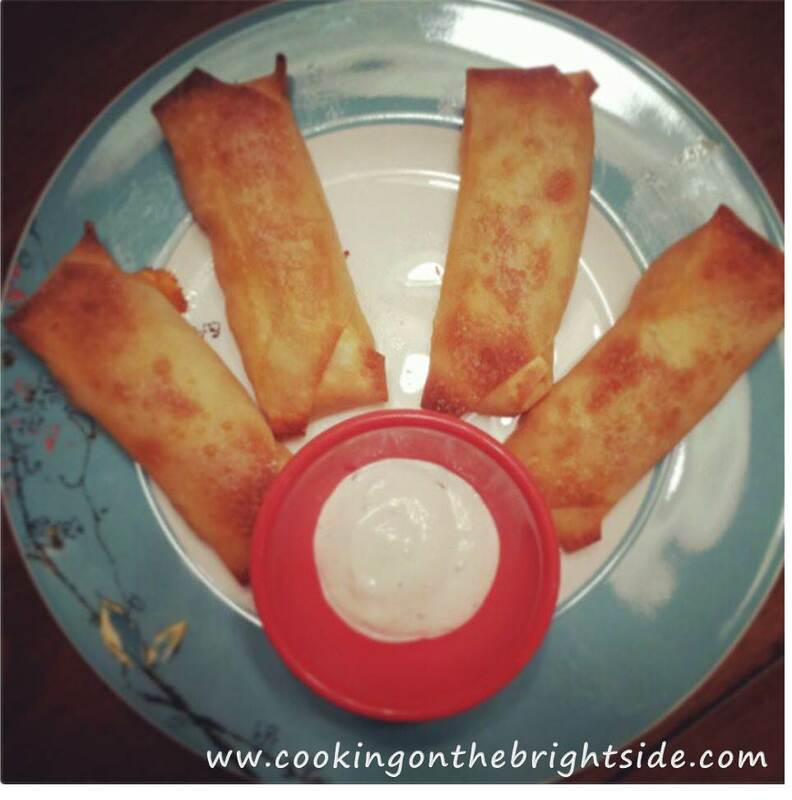 Serve hot with some ranch dressing for dipping. Well, now that I’m a married woman – the day holds a little more significance. I know it’s a “Hallmark” holiday, but what’s wrong with a day dedicated to love? I still don’t understand going to a favorite restaurant to be served from a limited menu at double the cost, but that could just be because I tend to be a homebody sometimes. As I’ve said before, nothing beats enjoying a nice fancy meal consumed in the comfort of clothing that involves an elastic waistband. So if you’re thinking like me (terrifying, I know) and want a special meal in – look no further friends. 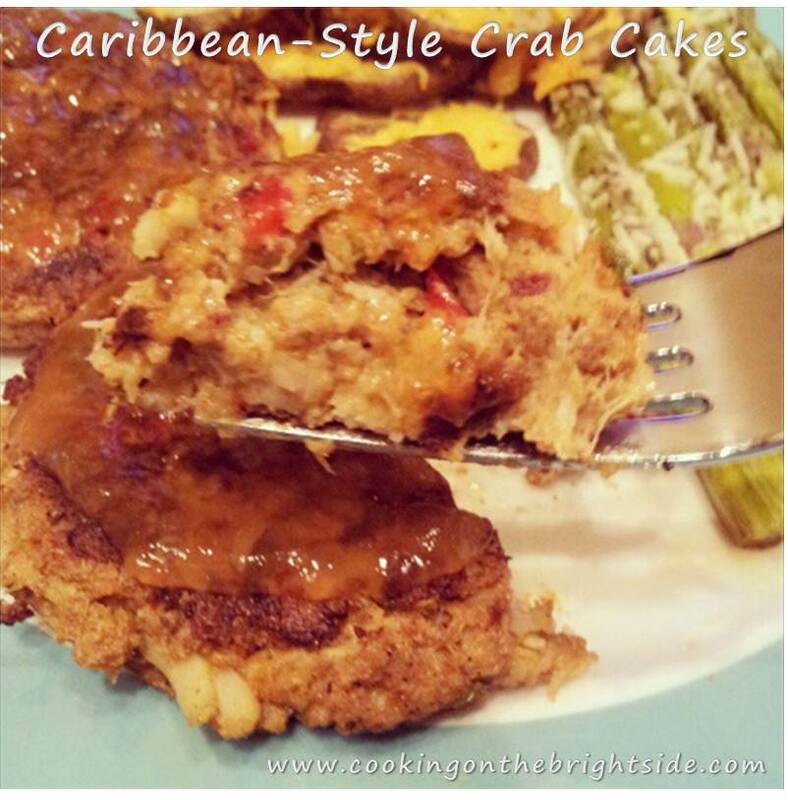 I bring you a recipe for Caribbean-style crab cakes. You could half the recipe and pair a crab cake with a small steak, or just make the whole batch paired with some roasted parmesan asparagus. 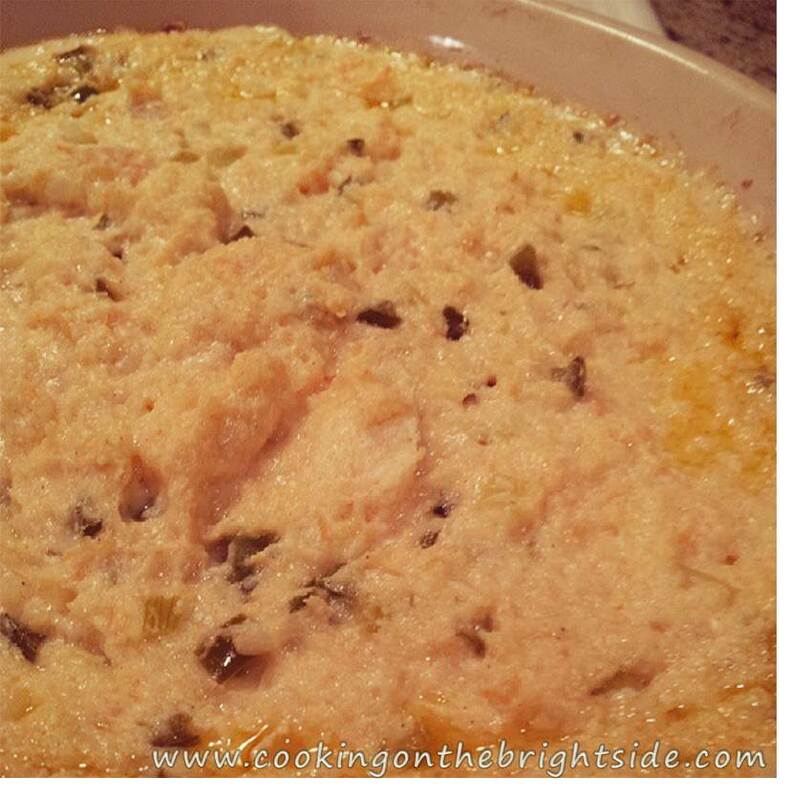 I usually prepare this recipe as an appetizer that makes about 16 servings, but it is just as delicious made just for 2. 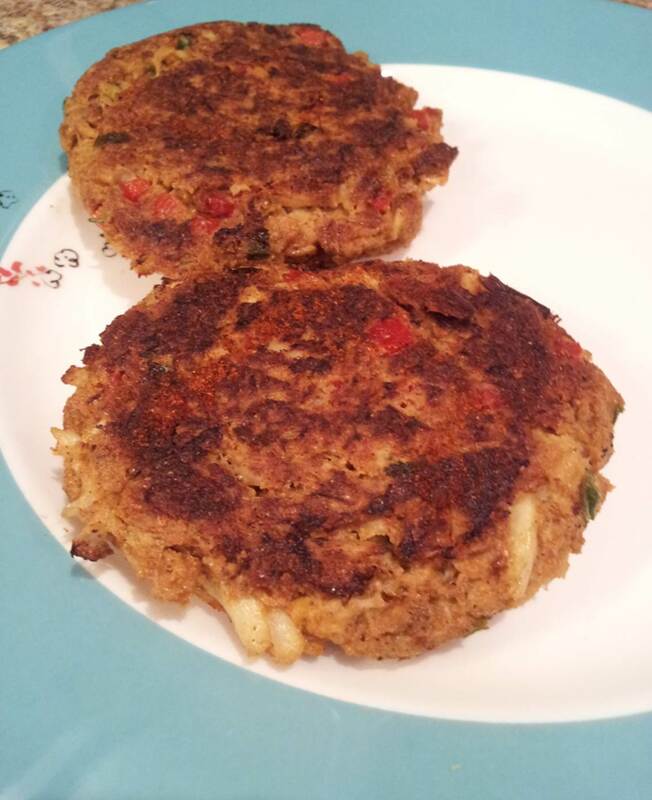 Now a few of the variations here were to make this recipe Weight Watchers friendly – like Fiber One crumbs – so the mixture is a little more “wet” than most crab cakes. 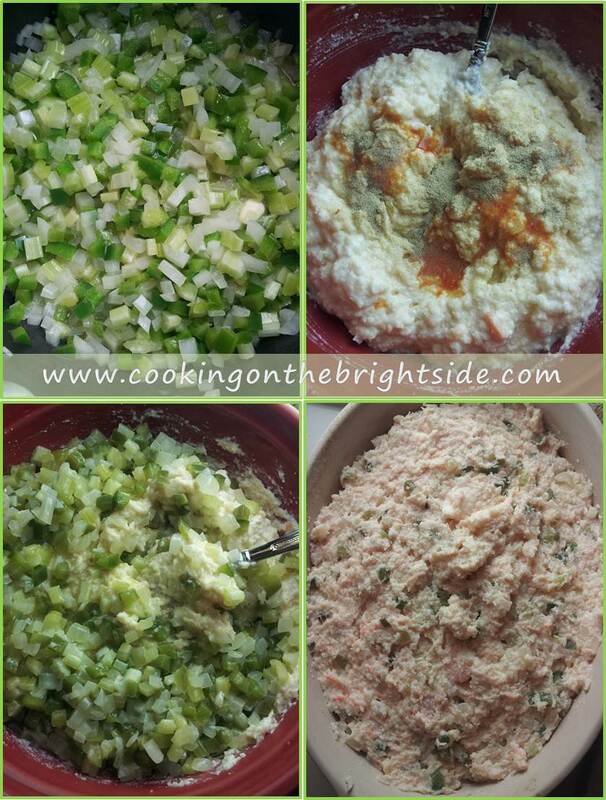 Begin by chopping the bell pepper and onion. 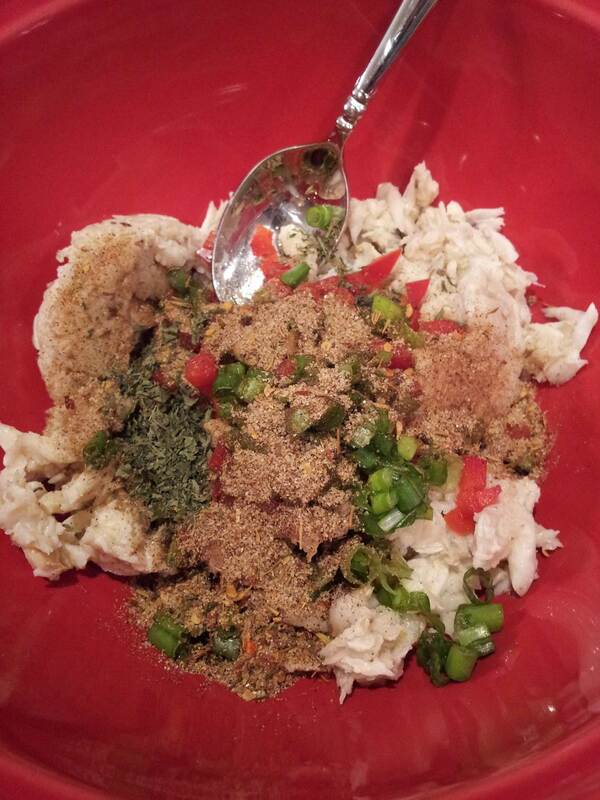 Add to bowl with crab meat, Caribbean seasoning, parsley and cereal crumbs. Then add in mayonnaise, honey and egg. 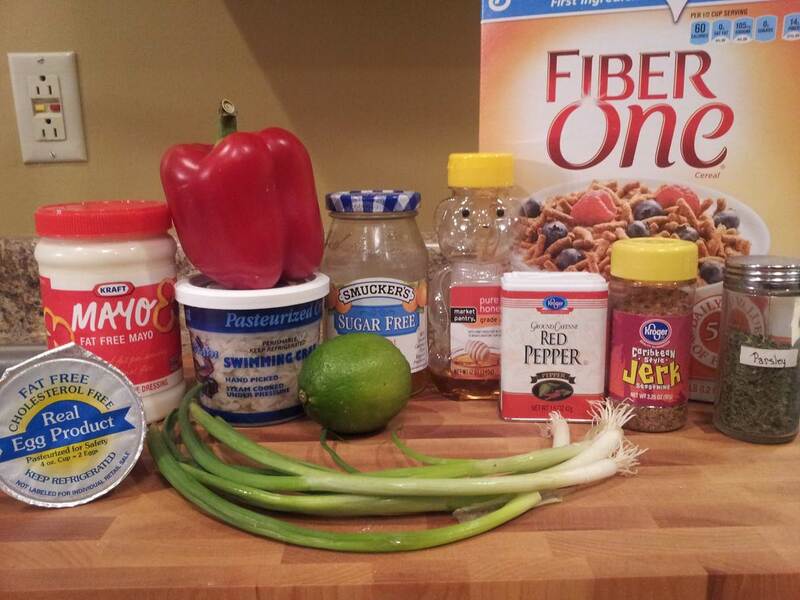 Mix together until all ingredients are incorporated. 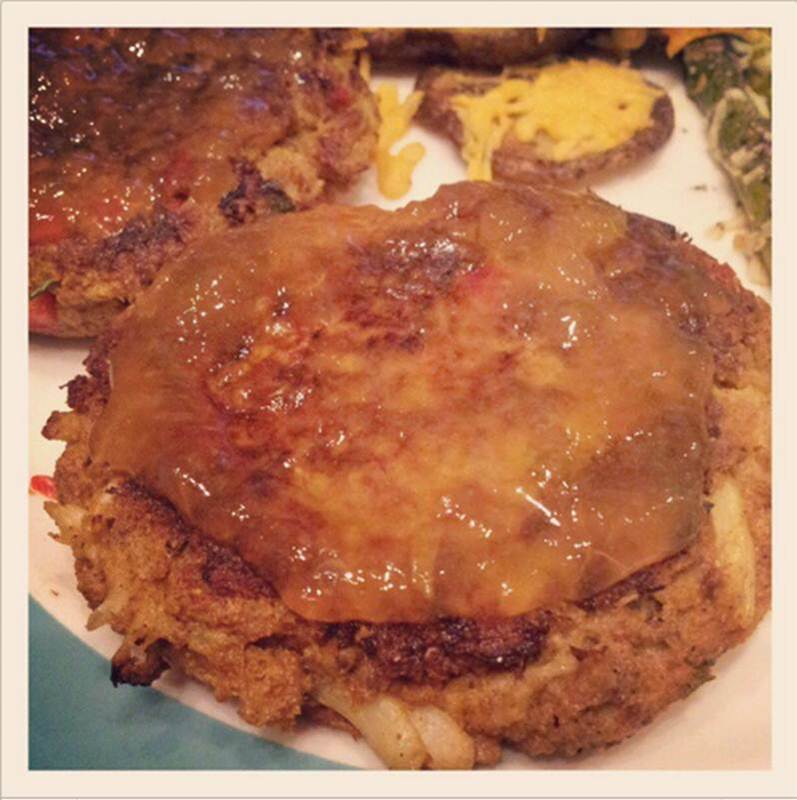 Form into 4 large patties – I had some leftover to prevent the patties from being too massive. (You can also form into 16 small patties for appetizers – start with a scoop the size of a ping-pong ball and work it into a patty.) Refrigerate until ready to cook. Heat 1 Tbsp. margarine over medium in a large skillet. 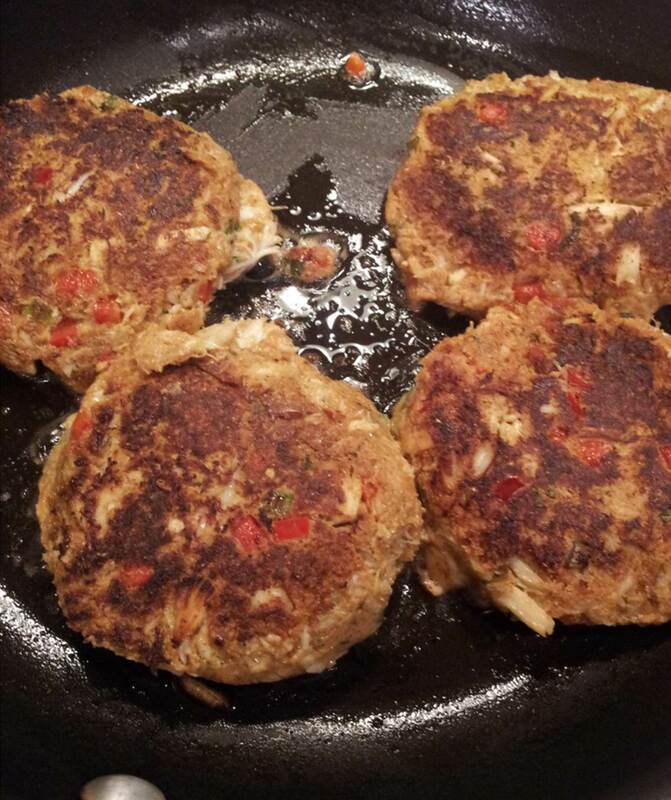 When margarine is hot, add crab cakes. Cook 5-7 minutes on medium-low and then flip, cooking an additional 5-7 minutes. While cakes are cooking, whisk together apricot and lime. 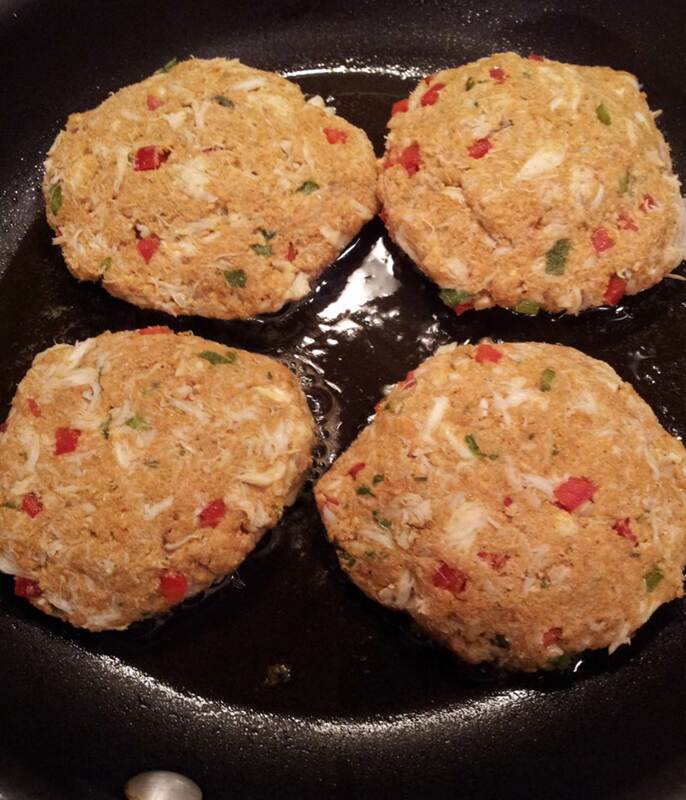 Add crab cakes to plate and sprinkle with a small amount of cayenne pepper. and devour with a glass of crisp white wine. Have a happy Valentine’s Day everybody! Do you know what tomorrow is? I mean, other than the day that adorable little Phil will tell us when Spring is set to arrive. Tomorrow is my blog’s birthday! Or is it anniversary? My blog has its’ own domain name now! Very nerdy of me to be excited about, I know, but hey – if you’ve been with me for a year, you expect it by now, right? 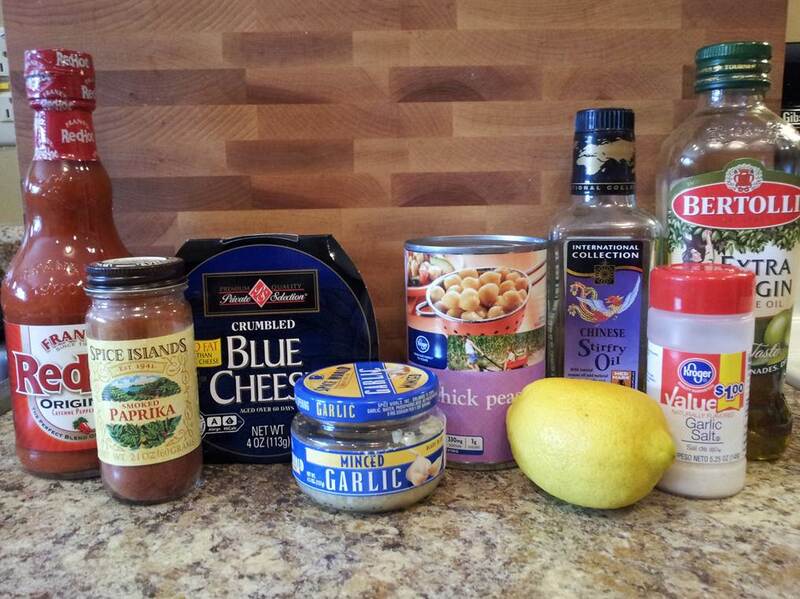 Have no fear – any older links will still take you to your favorite recipe. Now it’s just abbreviated, which means it’s easier to remember for when you’re passing it along to your friends. (Wink wink). 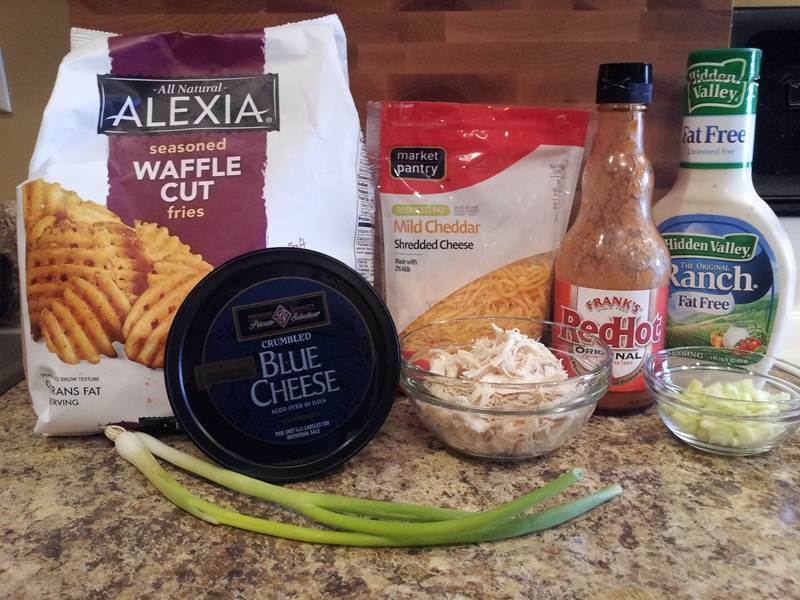 In addition to tomorrow being a very special day for my blog – Sunday is a very special day for football lovers (like myself) and for food lovers (um, duh) and for those of us who just enjoy fun celebratory occasions in general. So if you’re hosting a party for 50 on Sunday or just getting together with a small group and maybe tuning in to the Puppy Bowl – here’s a little recipe roundup for your menu planning! Of course, you can always jazz your party up with a fun theme. I’m talking about New Orleans. So serve up some festively Cajun recipes and throw back a Louisiana-brewed beer (might I recommend Abita? Light and Amber are delicious!) and you’ll feel like you’re celebrating in the Big Easy!